We are now accepting orders for fall shipments. All orders shipped bare root between September 16 and October 14. Peonies bloom in central Minnesota typically between the last week of May and the first two weeks of June, depending on the variety. 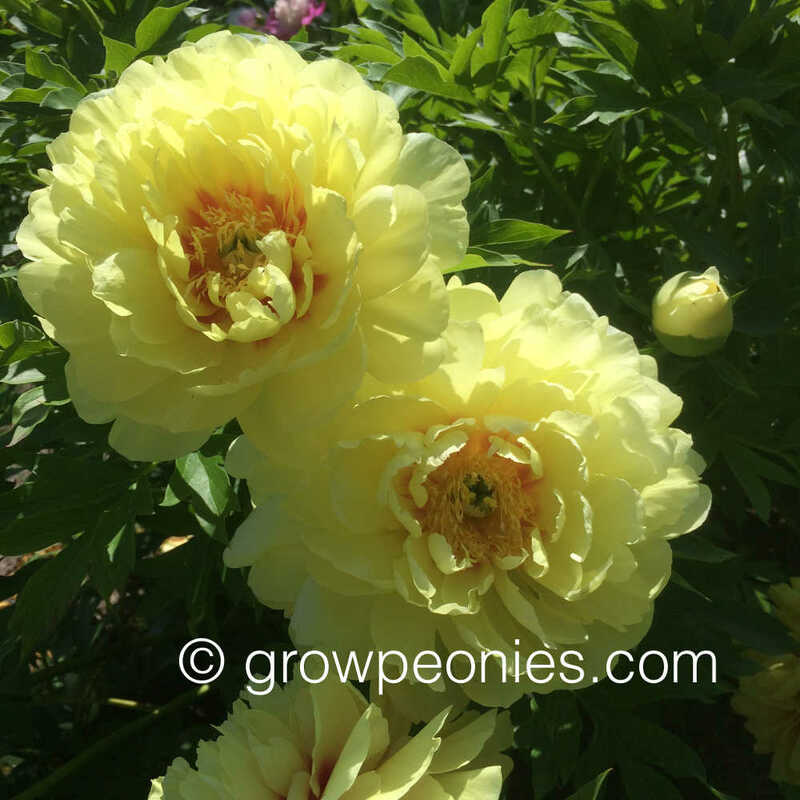 There are many reasons peonies fail to bloom other than "They were planted too deep". Many questions should be asked before a logical conclusion can be drawn as to why a plant has failed to bloom. Why Do My Peony Plants Fall Over After A Rain? This problem is usually associated with double flowering varieties after a heavy rain. Large blooms simply capture the rain and become burdened with the extra weight and fall over. Do Peonies Ever Have To Be Divided? Are Ants Needed To Open Blossoms? This is a myth that has been perpetuated for generations with no foundation. Unfortunately, not all peonies are fragrant. Pink and white flowering varieties are usually more fragrant than red blooming ones.